Embrace yourselves for the 7th Fashion Pakistan Week A/W 2014 which will be held from 25th to 27th November, 2014 in Karachi. 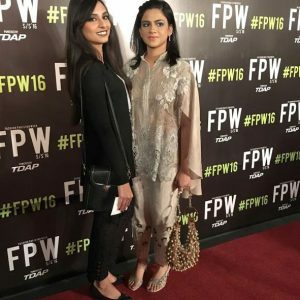 Fashion Pakistan takes pride in showcasing the finest designers and also encourages the new talent. Therefore, right before the actual Fashion Week, an exclusive event debuting 5 new designers, stylists, models and choreographers called Millennial Fashion will be held on 22nd November. One of these designers will be picked through on ground voting and will get to be a part of the upcoming fashion week. The newbies are Sameer Sain, Nitasha Yaqub, Abel Emmanuel, Madiha Raza and Aalish. The show will be directed by Hasan Sheryar Yasin and backstage will be managed by production 021. 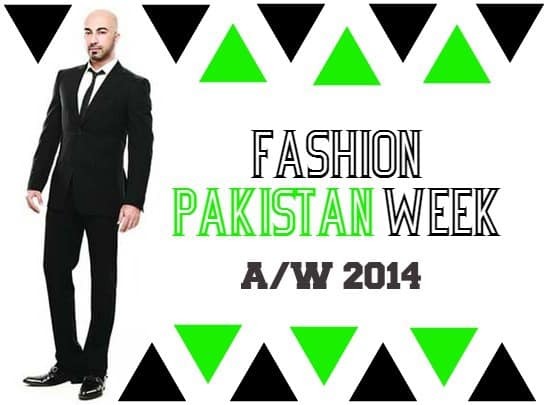 The official event and media partners for FPW A/W2014 is HUM TV network. While, the official makeup stylists for the event are NABILA (N-PRO) and N GENTS for all three days. The PR will be managed by Latitude CRS. The confirmed designers/brands showcasing at the Fashion Pakistan Week A/W 2014 include, Aamna Aqeel, Ayesha Farooq Hashwani, Adnan Pardesy, Deepak Perwani, DnF, Emraan Rajput, Faraz Mannan, FnkAsia, Ishtiaq Afzal Khan, Gul Ahmed, Levis, Maheen Karim, Maheen Khan, Nauman Arfeen, Nida Azwer, Sadaf Malaterre, Sana Safinaz, Sanam Chaudhri, Shehla Chatoor and Zaheer Abbas. Thanx for sharing event info with us.